Join us for the Midwest Communications Radiothon for Kids presented by Hot Stuff Pizza on Dec. 7 and Dec. 8, from 6 a.m. to 6 p.m. on Big Country, 92.5, Kelo-FM 101.9, Classic Hits 95.7 and KRRO 103.7. Every moment their five children are home, happy and smiling, is a miracle for Brianna and Thomas Dose from Canton, S.D. Brianna, a nurse at Sanford Children’s Hospital, loves watching her son, Chris, wrestle his three older sisters and her youngest daughter, Natalie, blow kisses to anybody and everybody she meets. Over the past five years, Brianna and Thomas haven’t had enough moments like that. 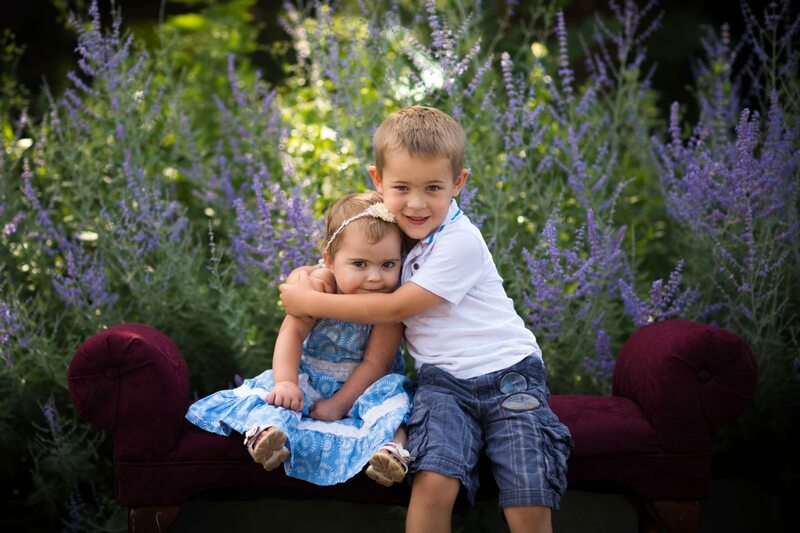 Chris and Natalie are the couple’s youngest children, and they’ve each faced incredible health challenges since birth. Chris was born with a hole between the ventricles of his heart. He underwent open heart surgery before his first birthday and had an artificial pacemaker placed when he was 3 years old. He’ll need a pacemaker, what he calls the “battery for his heart,” the rest of his life. Once Chris was on the road to health, Brianna and Thomas thought their days of sitting in a hospital waiting room were over. Then Natalie was born. Natalie became one of fewer than 200 people in the world to be diagnosed with KBG syndrome. The disease affects every cell of her body, causing seizures and a wealth of other health concerns including a weakened immune system. She gets sick easier than other kids, and over the past year, has been admitted into Sanford Children’s countless times. This summer, the family had one of their scariest moments yet. Brianna remembers that one minute, Natalie was happily playing, and the next she was unresponsive, suffering from a severe infection. Thankfully, expert care from the doctors and nurses at Sanford Children’s saved Natalie’s life, and she recovered. The Doses still find themselves traveling to Sanford Children’s at least once a week. Natalie now has a port to make drawing blood and administering medication easier in the case of another medical emergency. But none of that keeps Natalie from loving everyone she meets. Even when she’s sick, she doesn’t want to stay in her room. She wants to hang out at the nurses’ station and play with any doctor, and his or her stethoscope, she can find. Her big brother, Chis, also exceeds expectations. He’s a happy, energetic little boy who amazes Brianna with his bravery. He walks into each doctor’s appointment without fear and sits still when the nurses tell him to. Through it all, Children’s Miracle Network at Sanford Children’s has been there to help the Doses get through even the toughest times. Dollars raised by CMN support specialized equipment, direct family assistance and their favorite program, Child Life. “Child Life is a wonderful program,” Brianna said. “It touches every child and family who walk through the doors of Sanford Children’s. You can help families like the Doses during the Midwest Communications Radiothon for Kids presented by Hot Stuff Pizza. The two-day radiothon will be Dec. 7-8, from 6 a.m. to 6 p.m. on Big Country, 92.5, Kelo-FM 101.9, Classic Hits 95.7 and KRRO 103.7. Please consider making a gift today to help kickoff the fundraising efforts for the radiothon. Every gift will stay local to create more miracle for kids like Chris and Natalie who count on Sanford Children’s, the region’s only Children’s Miracle Network Hospital. “You are helping people right here and right now,” Brianna said. Next post: Join us for Christmas at the Castle!